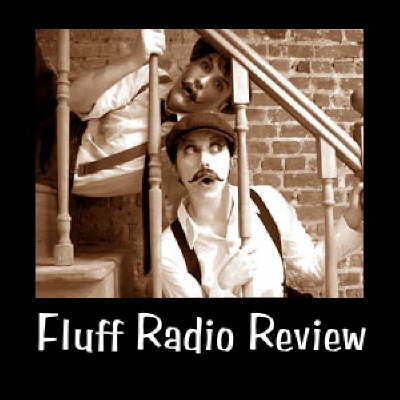 If you're looking for a podcast that features great modern music and comedy, look no further than "Fluff Radio Review". Hosted by Colleen AF Venable (PHOTO, right) and Annie Saunders (PHOTO, left), two brilliantly witty (and just plain brilliant) women out of Brooklyn, NY, this program will bring you so up to speed on bands/performers you should know about, even your 13-year old nephew won't think you're a dork anymore! As for the comedy? The songs, skits and patter performed by Annie and Colleen are funnier than anyone on "Saturday Night Live" in at least 10 years. Tune in and discover the pleasures to be found in Xmas in New York, tri-flavored popcorn and 'kazooing,' among other delights. When these ladies are rich and famous someday, you can say you knew of them way back when. And if you do drop by "Fluff Radio Review," tell 'em John Left sent you. Not that this would mean anything to anyone. It would just be a nice gesture if you did. I'll have to check it out....THANKS!!! You've been noticed over at my 200th post party!! !